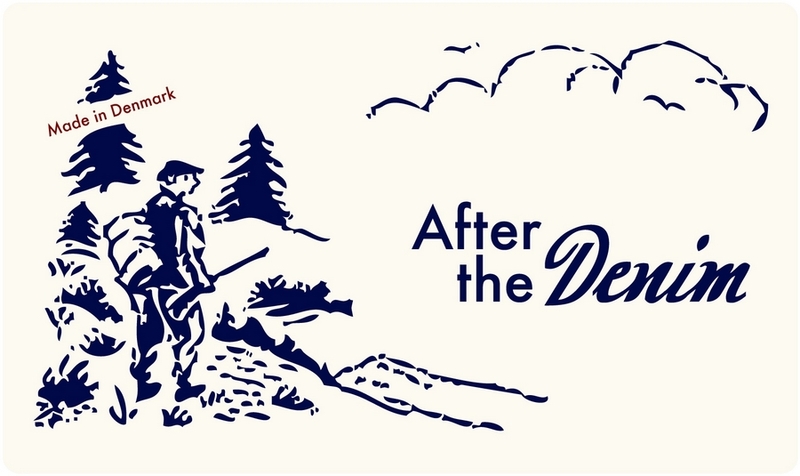 The blog Archival Clothing is a dear favourite of mine and I promise, that they will be featured a lot more here in the times to come. I came to think of them today because I was putting on an old, cherised belt made by J.M Davidson, which is an O-ring belt made of a sort of hard nylon webbing. A bit too flimsy for my taste nowadays. 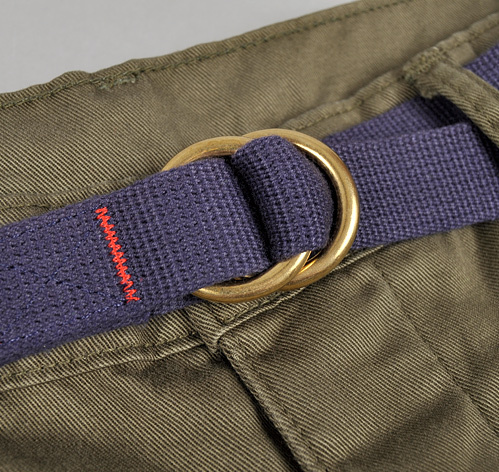 Archival Clothing has made their version of a classic webbing belt using cotton webbing from the UK, leather from Horween (Chromexcel, of course) in the US and finally solid brass O-rings, that were also sourced in the UK. 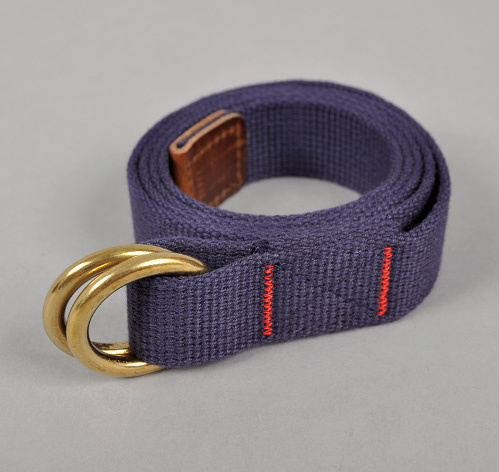 The belt was assembled in Oregon in the US, where Archival Clothing also reside (except for one of them, who recently left for NY). 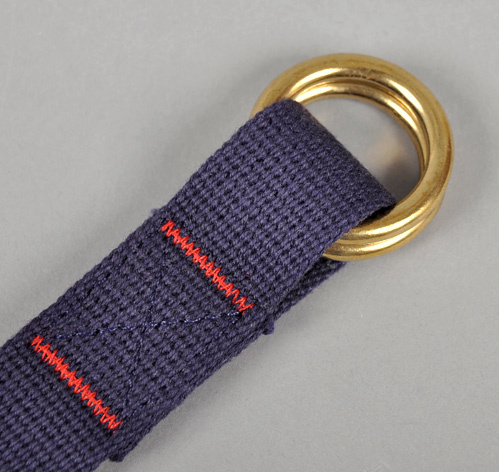 The belt also features Archival Clothing's signature red bartacking. If you have ever had anything made of solid brass, you know, that the brass will tarnish and the webbing will feel hard at first, but it will also soften. However it will probably never feel flimsy. The best part about the belt is probably the price - just around $25,- I would definitely be ordering one, if it wasn't because I have been thinking about making such a belt myself. I just need to get around to doing it.